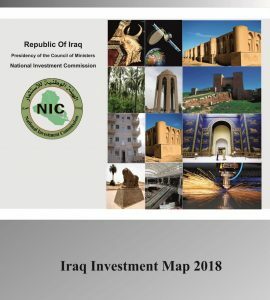 The National Investment Commission (the "NIC") is committed to bringing opportunities to the investor community that are essential to the Iraqi citizens, provide growth and development for the country and offer significant returns on investment. In line with these goals, we at the National Investment Commission are proud to be presenting this opportunity for investment in Iraq's housing sector. This investment announcement to interested investors, parties, developers, financiers and construction companies is intended to begin a large-scale program addressing Iraq's significant housing and infrastructure shortages. This announcement provides interested parties an overview of the proposed housing initiative and the preliminary requirements for project submission. If you have any questions or would like further information on the program, please contact us. The NIC will be conducting this process under Iraq's Investment Law (Law No. 13 of 2006). In response to this announcement, we require information regarding your company and your proposed approach on how to best address the housing and infrastructure needs, maintenance programs and overall development strategy. The same information will be gathered from all companies and will be used in the process of awarding of a development project hereunder. We look forward to hearing from those parties who want to be part of this historic effort. 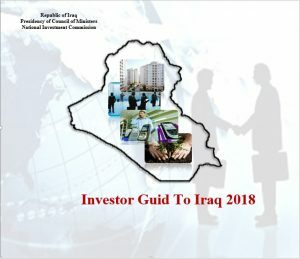 The basic aspects of the Program provide that the Iraqi National Investment Commission would grant a successful Developer of a project a plot of land and license - both on a conditional basis - to develop the requisite number of Housing Units allocated to a project, and potentially the required infrastructure. The NIC will look favourably on Developers that seek to establish the developments using modern building technologies, which will allow them to complete the developments more efficiently in terms of cost and time. Upon completion of the development project, Investors/Developers would sell the housing units to individual purchasers. The NIC will oversee the implementation of the Housing Program throughout Iraq by coordinating its development through its various phases, including the granting of land to the Developers. The NIC will also coordinate the relationships between the Investors/Developers and appropriate Ministries, particularly the Ministry of Construction and Housing and municipalities and public works and provincial authorities to ensure a smooth development process, and to facilitate the activities of the Developers. The Trade Bank of Iraq ("TBI"), as lead financial arranger of the Program, will coordinate the financial packages related to the various developments throughout Iraq. The Program will consist of a series of developments (each a "Development") across Iraq's 15 Governorates and Kurdistan Region. The aggregate number of Housing Units to be built on all the Developments will be approximately 1,000,000 housing units. The Housing Units would likely be required to comply with certain basic criteria in considering size, layout, energy efficiency, construction material et.al. We believe that, in light of the housing shortages and the available plots of land in urban environments, the likely requirements in such areas would be that the units be in apartment buildings (depending on relevant municipal requirements and regional market demands) with each apartment having an area between 100 to 150 square meters (containing, at a minimum, three bedrooms, living room, bathroom, kitchen, and storage area). Accordingly, Investors/Developers should note the need for elevators in these apartment buildings when required. With respect to locations in areas outside the major cities, we believe that the likely requirements in more rural areas would be for houses and smaller buildings, with the same size requirements for the apartments. The NIC would welcome creative design solutions that would amend these basic requirements with the goal of providing more optimal development arrangements. We currently propose that the target sales price for each housing unit will not exceed fifty thousand US dollars ($50,000USD, given 100 square meter unit) or $500USD per square meter, taking account that the price for the unit in many governorates of Iraq will be less then the above mentioned price. a. The purchaser will be required to make a down payment of 25% of purchase price upon signing a contract for a unit, which will be held in escrow with The Consortium of Banks. Each purchaser will in addition be required to make another payment of 10% of the purchase price upon delivery of the unit, with the remaining amount to be financed by a mortgage lender amortized over ten years. b. The purchaser will be required to make a down payment of 20% of the purchase price upon signing a contract for a unit, which will be held in escrow with The Consortium of Banks. Each purchaser will in addition be required to make another payment of 7% of the purchase price upon delivery of the unit, with the remaining amount to be amortized over ten years. This option will contain a lower monthly payment to the mortgage lender and a balloon payment upon maturity of the mortgage term (which could be refinanced). In connection with purchasing each property, each purchaser would be required to enter into a maintenance contract for the maintenance of the common areas of the Development (see "Maintenance Programs" below). Economical Residential Town Conceptual Design - adjustable to any plot (minimum 5 variations) and general design criteria. Description of the Work Plan for performing the assignment within two years and time schedule. Description of Services and facilities to be provided by The Company. Quantity of levels of direct and indirect employment generation during both construction and operational phases. Assessment of anticipated growth of existing and new businesses as an indirect consequence of the assignment and other major developments and the resulting increase in local economic activity and increased population. Bank comfort letter to be submitted to NIC's designated bank stating their readiness to finance the project (75% of the total cost of the project). List and profiles of the companies involved for the realization of the assignments. Past performances of companies involved in the assignments. The Company shall provide the agreed upon low to medium income residential housing units in the agreed upon provinces. NIC shall pay The Company not more than US$500 per square meter of each housing unit which means no more than $50,000 for a unit of 100 m2 as outlined in the NIC announcement regarding the project (including all infrastructural works within each complex). Project/construction funding will include an initial 10% advance payment against an advance payment bank guarantee and a 15% progress payment according to the agreed-upon phases. In each Development, further details will be provided regarding the existing infrastructure in the areas surrounding the subject Development location. With respect to the infrastructure within the boundaries of the Development, each Investor/Developer will be required to build such infrastructure, the cost of which will be included in the sales price for the units on a pro-rata basis. For purposes of each Development, it is anticipated that the infrastructure within the boundary will include among others: roads, water, sewage, electricity and telecommunications lines. The mortgages to be offered to purchasers will be adjustable rate mortgages. NIC will also seek to make available in the mortgage program Sharia compliant housing finance. TBI will establish appropriate credit criteria and monitoring systems with respect to the mortgagees. TBI, as administrative agent for the lending group, will obtain security in the form of a first priority lien on the title of each unit. The Program intends to tap the significant liquidity available in the Iraqi banking sector. The Program also intends to tap other sources of liquidity both internal and external to Iraq. The NIC and TBI will be coordinating their financing activities with multilateral financial agencies and institutions. The NIC understands that both purchasers and mortgage lenders would need to ensure that the value of the Housing Units would not deteriorate due to a lack of appropriate maintenance. The NIC envisages that, within each Development, all common areas and the outside of the units themselves would need to be well maintained. It is intended that specialized companies will be contracted to maintain these common areas. These companies would charge the owners of the housing units monthly management and maintenance charges. In certain instances, the NIC will provide additional construction opportunities to the proposed Developments in order to supplement the Investors/Developers returns. Accordingly, the NIC would propose that particular Developments would contain certain commercial components, for which licenses would be conditional on agreeing to complete particular Housing Units. These commercial projects would include, but not limited to, Housing Units that do not have targeted sales prices, retail outlets (including shopping centers), hotels and office spaces. Input from Developers on the types of such associated commercial projects and on how their Development might be structured is welcome as part of Investors'/Developers' responses to this Announcement. The NIC believes that each Development will contain requirements for the Developers to construct certain public services, such as schools, clinics and similar services. In light of Iraq's housing shortage, the NIC will look favourably on Developers who intend to complete their proposed projects using modern building technologies, which would be anticipated to complete such Developments in a more timely and cost-efficient manner than the traditional building processes utilized in Iraq. Developers should note, however, that the NIC will review such modern technologies to ensure that quality would not be affected and that the materials and designs will be specific to regional requirements and market demands. The proposed program will be coordinated by the NIC under Iraq's Investment Law (Law No.13 of 2006). Accordingly, as this announcement has been delivered to interested parties, the NIC will establish additional procedures with respect to addressing specific Proposed Developments.